Legion World Content panel transcript discussed by Alex Afrasiabi (creative director), Eric Maloof (senior game designer), Julian Morris (lead game designer), Gary Platner (Lead Environment artist) and Ion Hazzikostas (lead game designer). 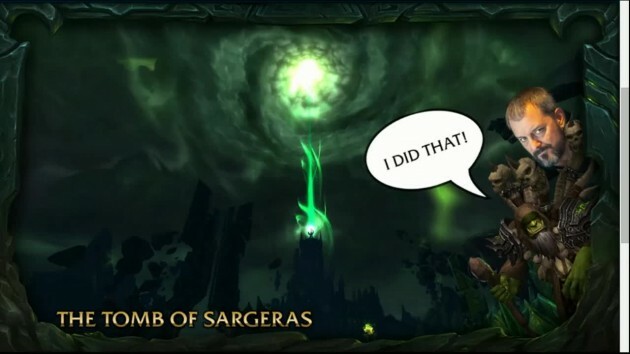 Alex: We have been waiting a year to get back to the BlizzCon stage to talk to you all about the next WoW expansion: Legion; and finally, that day has come. We are super excited to take you through the lands of the Broken Isles and show you all what they have to offer. 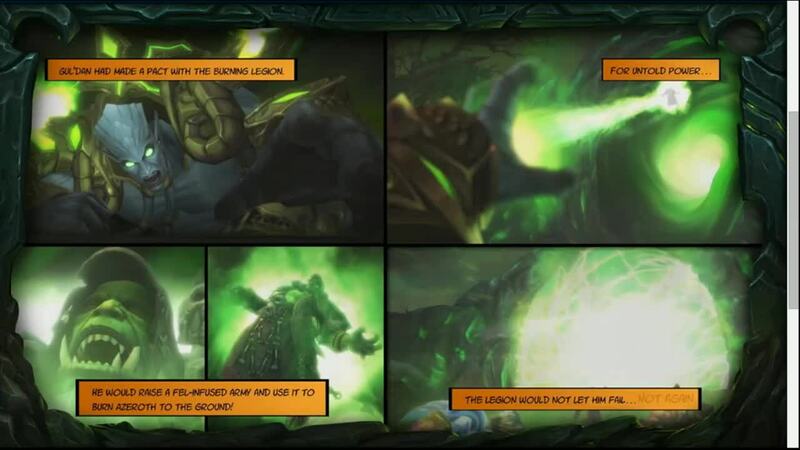 So over the course of an hour and a half we are going to tell you everything there is to know about Legion, and that by the way is the extent of my photoshop skills. Here is what is in the agenda. I am going to give you a brief introduction to this expansion. Eric Maloof is going to take you in a deep dive of the Demon Hunter experience. Julian Morris and Gary Platner are going to take you through the zones of the Broken Isles, and the mighty Ion Hazzikostas is going to talk to you about dungeons and raids, but that’s not all. We have got all new features to talk about today. Features that have not yet been revealed to the public and somehow, miraculously not datamined or spoiled by MMO-Champion. 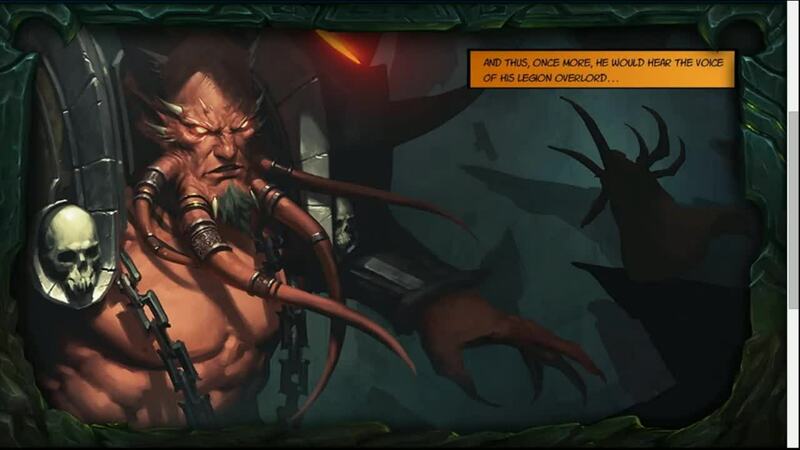 So who’s ready to hear about the third Burning Legion invasion to Azeroth? Alright, let’s get started. So where we last left off, Gul’dan had taken control of the Iron Horde from Grommash Hellscream, and was raising a fel infused army to invade Azeroth and burn it to the ground. Now, of course, being the righteous defenders of justice that we are, we stopped that from happening. Or so we thought. The Burning Legion wasn’t about to let their pawn fail. Not again. So while Draenor was saved, and it was saved, Gul’dan would be sent to our world where he would be allowed to fulfill his pact. 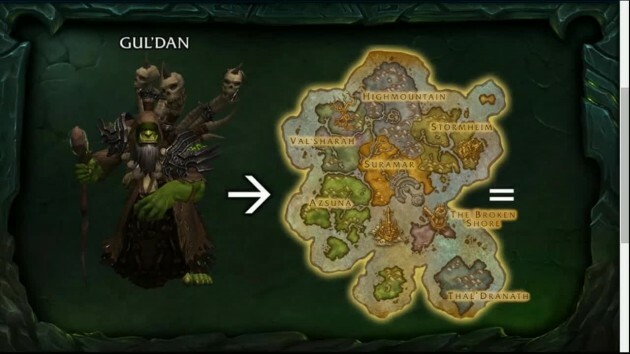 What happened to Gul’dan on Azeroth? Well, on our world, Gul’dan would hear a familiar voice. 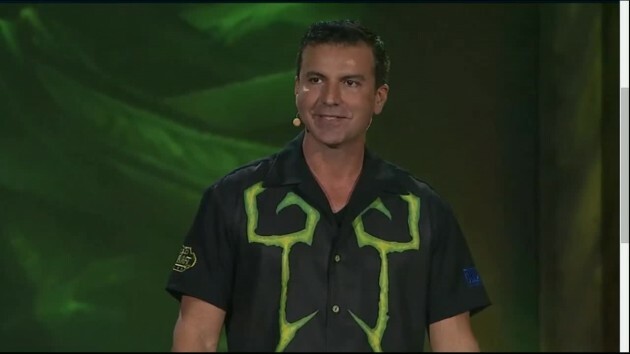 A voice that has been directing him all through Draenor: Kil’jaeden. And Kil’jaeden would gift Gul’dan with the nearly limitless knowledge of the Burning Legion; and with the secrets of the universe in his grasp, Gul’dan would be commanded to the Broken Isles, to the Tomb of Sargeras. Where he would shatter protective words, sealing an ancient gateway to Legion worlds. Needless to say, Gul’dan succeeds and kicks off the largest Burning Legion invasion of Azeroth ever. 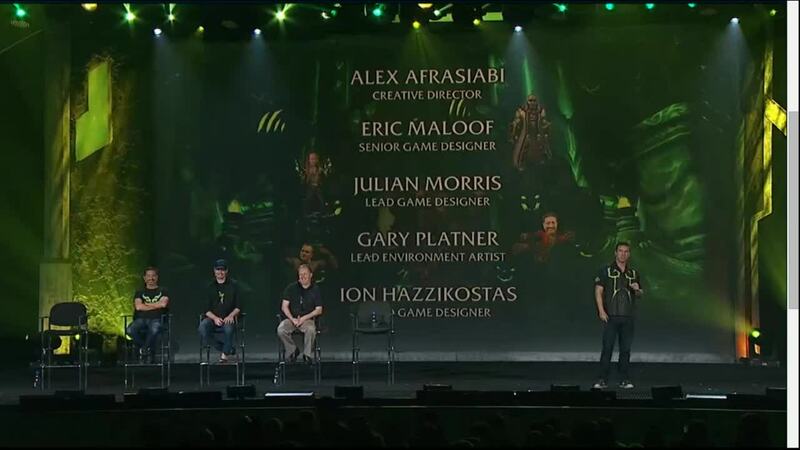 Chris Metzen … what are you doing in my slide? I can’t shake him. He’s everywhere.